Mail or Express trains irrespective of the type of train by which the passenger travels. The concession is offered on both AC class and sleeper class tickets for some categories. 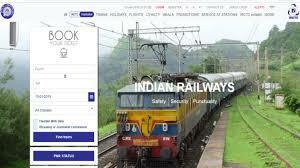 Passengers can avail the discount at the time of booking their tickets under the respective category. IRCTC also offers Izzat MST to persons with monthly income not exceeding Rs 1,500, working in unorganised sectors. Izzat MST is set at Rs 25 for journeys up to maximum 100 Kms. It is worth mentioning that the concession is given only on basic fares and not on other charges like super fast surcharge, reservation fee, etc. However, in cases where a concession has been allowed in Rajdhani/Shatabdi/Jan Shatabdi trains, the concession shall be admissible in the total charges (including catering) of these trains. What about canselation amount how much railway will charge for canselation. In canselation they charge very high. No senior citizen no concession on can selling tickets.